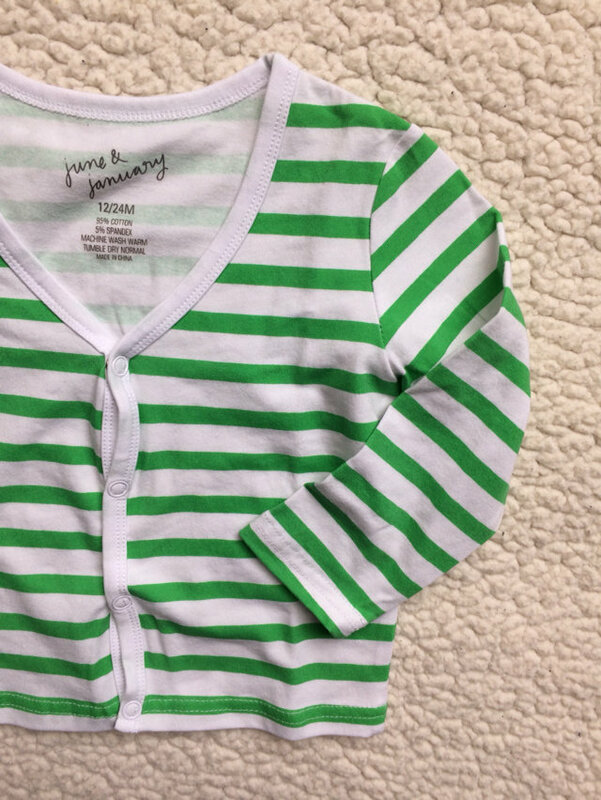 We never wore this J&J cardi. 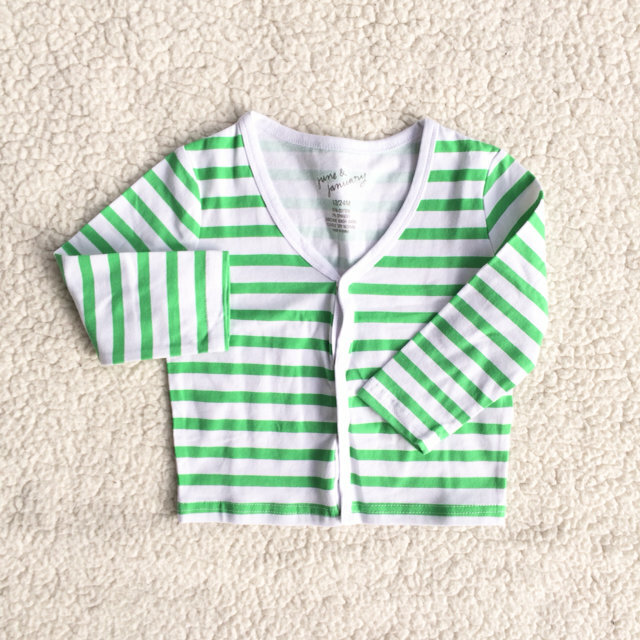 Green with white stripes and buttons down the front. 12-24 months size, runs big, more like 18-24.